Sparkpr has hired former GolinHarris corporate comms lead Gregory Papajohn as MD for financial technology and social innovation, a new role at the firm. NEW YORK: Sparkpr has hired former GolinHarris corporate comms lead Gregory Papajohn as MD for financial technology and social innovation, a new role at the firm. Papajohn started in the role earlier this month when the firm formalized its financial tech business practice. Based in Spark’s New York office, and reporting to CEO Alan Soucy, Papajohn is working to engage audiences and create opportunities for clients at the intersection of finance, technology, and societal change. He is overseeing about six Spark executives. "Being in New York City with a broad range of financial tech opportunities coming at us, we needed to create this position and formalize a new practice group in the financial tech area," said Soucy. "At the tactical level, [Papajohn] is going to grow our financial tech and social innovation client base, and in a broader sense, he will add his expertise to the overall growth of Spark." 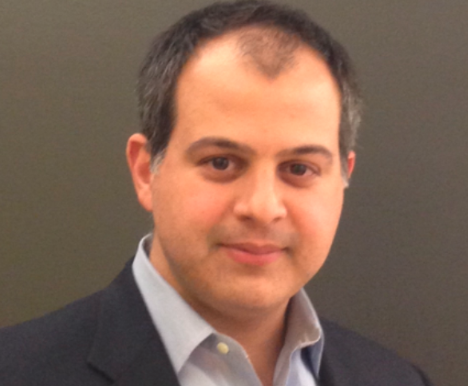 Papajohn joined Spark from GolinHarris, where he was New York corporate communications lead. On an interim basis, Tony Telloni replaced Papajohn, who had been executive director of the firm's corporate practice in New York since June 2010, at the start of this year. Telloni is also continuing in his prior role as MD of the firm's New York office, reporting to Gary Rudnick, president of the Americas. Telloni said the firm is still looking for Papajohn’s replacement. Prior to Golin, Papajohn served as SVP at Emanate PR, director of global comms at American Express, and director of North America comms for MasterCard Worldwide. "I have decided to focus on my passion, giving more energy to emergent technologies that are reshaping the financial services marketplace," Papajohn said. "I wanted to be part of an agency that is in a fast-growth mode and looking to associate with early stage to growing ventures that are disrupting the way financial interactions take place." Last month, Sparkpr New York relocated to another location, less than two years after the firm opened its first office in the city. The agency is planning to hire a director who would be Papajohn’s co-leader of the practice by the second quarter.